According to a recent news article from CT Post, two products have just been recalled involving serious safety issues. The first is a snow globe. 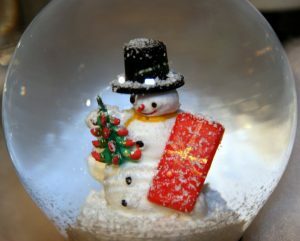 While it may be hard to imagine how a snow globe could be dangerous, there have been reports that one model sold by a major retailer was designed in such a way that it can catch light and intensify it through the rounded-glass dome and water so it will create a focal point capable of starting a fire, similar to a how a magnifying glass can be used to start a fire with sunlight. Once the retailer was alerted to this issue, they claimed nobody has been injured but immediately issued a recall of all snow globes. In the event someone was injured by one of these snow globes before the recall, it would probably be a hard case to prove as there is not typically a pre-market test for this type of danger. However, if the manufacture of a product was put on notice of a potential hazard and did not take reasonable steps to recall the product and notify those who had purchased it, there might be a valid cause of action filed under a theory of products liability. This is because the company, at this point,would have actual knowledge of the intentionally dangerous situation and acted negligently with respect to that knowledge. The article mentioned a second recalled product: A child high chair reportedly posing a fall hazard by design. In this instance, roughly 8,000 high chairs have been recalled in the U.S. alone because of the alleged design defect that can allow the front legs to fall off while the child is seated causing it to topple over. There have been a couple of reports of bruising in connection with a high chair falling over while an infant was seated in it. While there has been no formal accusation of negligence associated with this particular product, a product such as a high chair might be held to a different safety standard than a snow globe, for example. This has to do with the issue of foreseeability of a plaintiff being injured. As our Boston products liability lawyers can explain, and as discussed-above, a product like a snow globe would not likely involve the level of safety testing a high chair would. It is true that a major manufacture would want to know if the glass could break easily causing an injury or perhaps if there was a toxic liquid in the snow globe, but as one might expect, snow globe injuries are not all that common. On the other hand, a product like a crib or high chair designed for infants or toddlers could pose a serious risk if defectively designed so a much higher degree of safety testing should be required. If the company performed safety testing and determined a potential risk, they should correct the defect before marketing the product. If they cannot correct the defect, then the product should not be sold. If the company chooses not to do safety testing because they are fearful problem would be discovered, this is not an adequate defense to a subsequent personal injury lawsuit in many cases. This is because if the company chose to be ignorant of a potential safety issue and did not do the test for that reason, a jury can find manufacturer knew or should have known of the defect anyway and this can be used as a basis for finding liability. Some products will present risks based upon the nature of the product. For example, a jet ski involves some level of risk to the rider and those around. There are many things that can be done to make a rider safe, but there is no way to reduce all risks of personal injury. In these cases, there is not necessarily the issue of a defective design, but rather the issue of failure to warn of a known defect. This can also be the basis of filing a Boston personal injury lawsuit, and this is the reason we often see so many warnings on the side a products like a jet ski. This is not to say a product cannot also be defective even if there is some inherent risk, and there have been many cases involving jet ski injuries over the years as well as many other products. An example we often see around the house involves the many chemicals we tend to keep under our sink. Some of these chemicals are very dangerous and the danger is obvious such as with drain cleaner made from lye and other caustic chemicals that can cause serious injury or death if swallowed, and other products have serious dangers that are not so obvious. One recent example is the laundry pods that have become very popular. As we have seen, these are bright and colorful so they appeal to a child, and if eaten, they have been shown to cause fatal injury on multiple occasions. This danger is not so obvious as many people would likely think of them similar to soap which is not generally considered toxic. In response to this, the companies had to issue warnings, redesign packages for child safety, and in some cases, take other action to limit liability and prevent injuries.